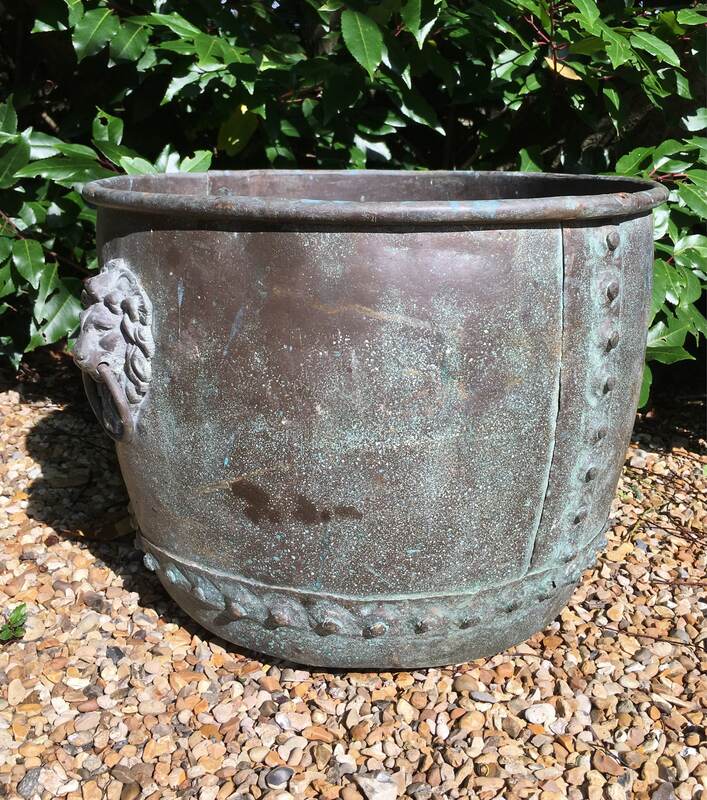 Late 19th century copper garden planter. 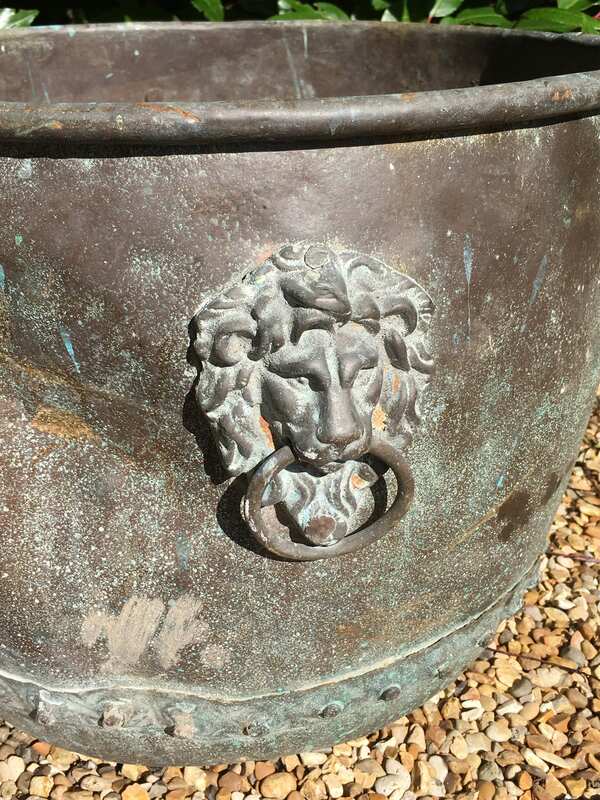 It has lions head handles to sides. 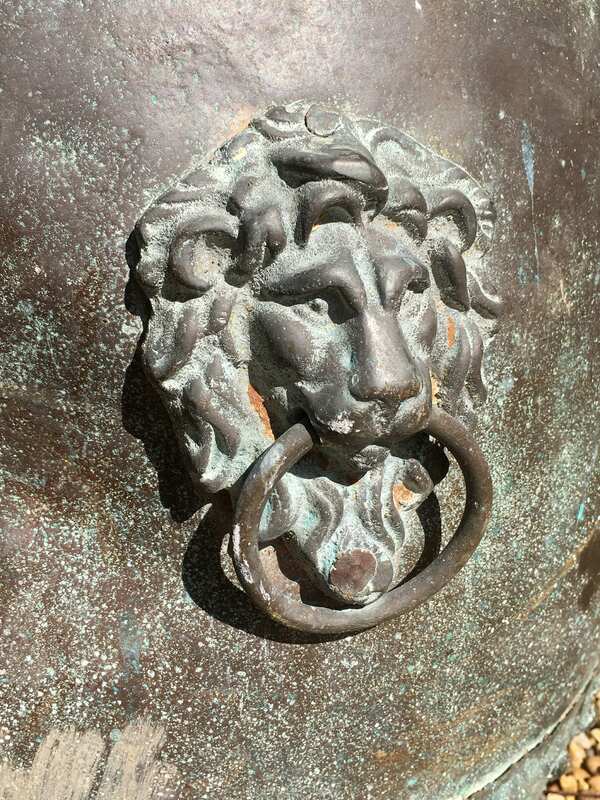 It originally had lions claw feet but have corroded away leaving drainage holes. 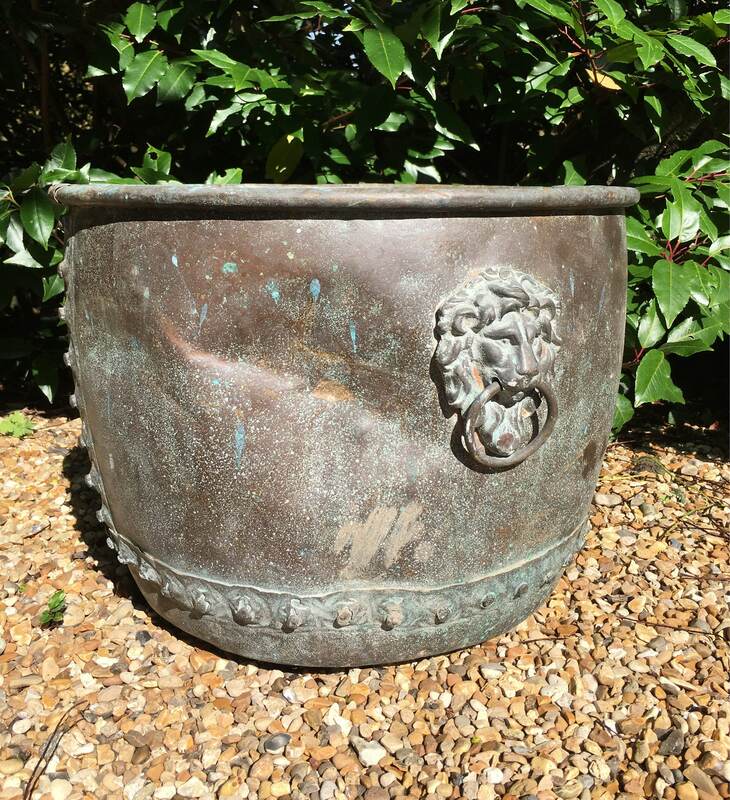 Size is 43cm wide and 32 cm tall.